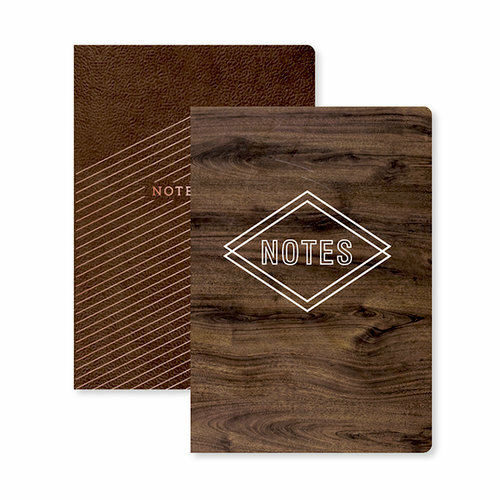 Make it easy to jot down notes or a memory with the Typecast Collection Notebooks with Pockets and Inserts. Included in the package are two 5.75" x 8.25" notebooks; each notebook features ten unlined pages and four pocket pages with 7" x 4.75" journal card inserts. One of the notebooks has foil accents on the journal cards and cover.